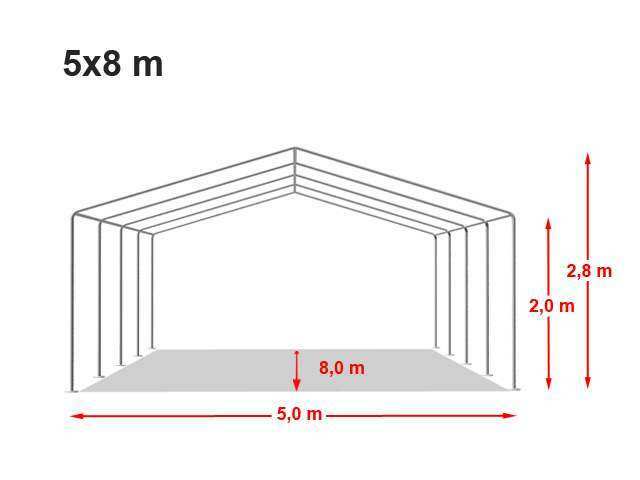 This marquee features an easy-to-install frame made of fully galvanised, anti-corrosive steel and strong, approx. 500 g/m² PVC tarpaulins with a heavy-duty patterned internal fabric. The PVC tarpaulins provide high sun protection of 80+, are UV resistant and 100% waterproof. The side walls can be installed individually at distances of 2 m, which enables a variety of alternative constructions. PreviousNext Picture may differ from original product. Economy - for big plans! Everything for a happy customer! Largest range of professional tents in the U.K.! 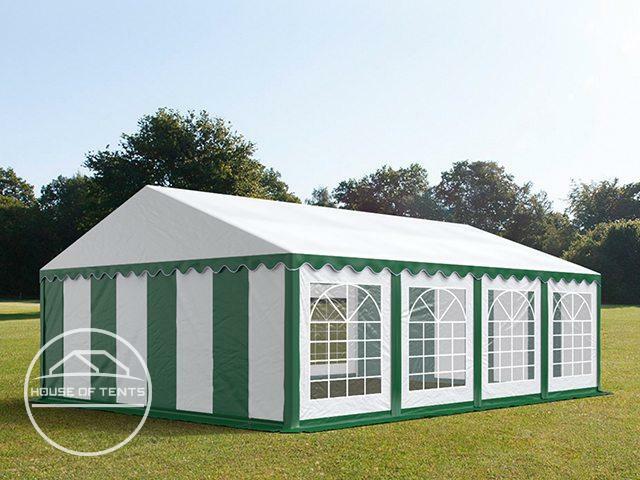 More than 1,000 different sizes of Party Tents! Personal advice from experts possible! Next Day Deliveries from Ipswich! Wind and snowloads have not been tested for this tent. 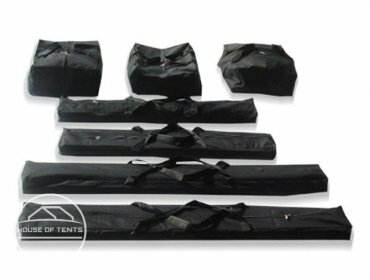 Ensure the tent is assembled correctly and clear snow from the roof promptly In the case of emerging wind, please use our storm set. In the case of strong winds and heavy snowfall we recommend temporary disassembly. Alternatively, enquire about the Safety Plus Package for the PROFESSIONAL and PROFESSIONAL PLUS lines, in order to obtain guaranteed wind and snowload capacities.